Now available online for all devices! A close-up experience of Disorient’s Tech Font and Glam Objects, set in the camp ground of FUN TSANG 2019. You will encounter members of the Hong Kong Disorient Camp (Can you spot them and name them?) 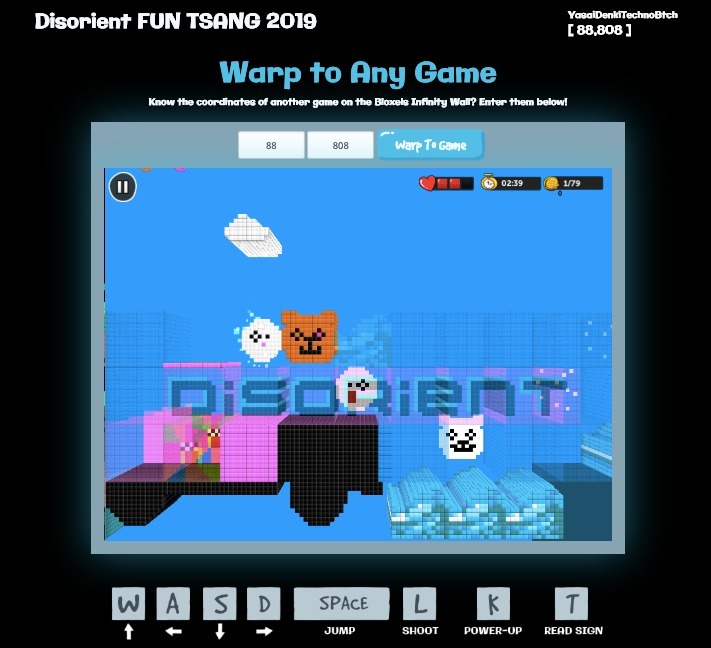 and go on many adventures in the FUN TSANG 2019 retreat, all in the Disorient Video Game! Enter game coordinate (88,808) and Warp!